"A composer who has something worth saying and knows how to say it" was The Guardian's verdict on Geoffrey Burgon's Requiem, premiered at the Three Choirs Festival in 1976. The Times went further, calling it the year's "most important new work." In the mid-1970s modernism was still the dominant ideology. 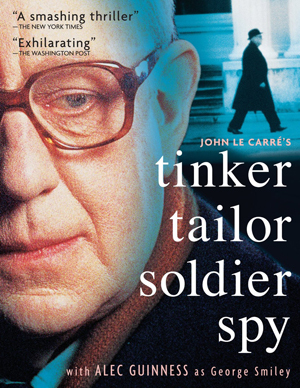 And here was a composer who had no scruples about writing ‘accessible’ music — who only three years later would score a hit in the UK pop-charts with his Nunc Dimittis theme music for BBC TV's John Le Carre adaptation Tinker, Tailor, Soldier, Spy. But the force of Burgon's vision and the skill with which he embodied it in music compelled classical audiences and critics to take it seriously, as it has continued to do ever since. Born in 1941, Burgon came relatively late to music. As a teenager he taught himself the trumpet in order to play jazz, and it was as a trumpeter that he entered the Guildhall School of Music and Drama. Burgon already had a budding catalogue of compositions and at the Guildhall his urge to compose grew. Eventually Burgon asked his teacher, Peter Wishart, whether he could make it as a composer. Wishart's reply was decisive: "Well, you don't seem to be able to stop, do you?" After studying privately with Lennox Berkeley, Burgon decided to give up performing and devote himself entirely to composition. The years that followed were financially lean, but musically rich. Settings of poetry by John Donne (Five Sonnets of John Donne, 1968) and St John of the Cross (Noche Oscura, 1974, Canciones del Alma, 1975) were the first expressions of what has remained a lifelong preoccupation with mystical subjects — Five Sonnets won Burgon the Prince Pierre of Monaco Award. Burgon's ability to engage directly with audiences resulted in growing numbers of commissions for TV and film scores, including BBC's Dr Who (in Terror of the Zygons and The Seeds of Doom) and The Chronicles of Narnia, Granada's Brideshead Revisited and the film Monty Python's Life of Brian. The Brideshead Revisited soundtrack went Gold, selling over 100,000 copies, and the music won Burgon his second Ivor Novello Award in 1981 (two years after his first for Tinker, Tailor, Soldier, Spy). More recently Burgon has won BAFTAs for Best Television Music for Granada's The Forsyte Saga and Channel 4's Longitude.